What is common teasel? An exotic plant native to Europe, common teasel was introduced to North America by the earliest settlers. It has escaped cultivation and is often found growing in prairies, meadows and savannas, as well as in disturbed areas along creeks, railroads and roadsides across the United States. Common teasel is a tall plant that can reach heights of up to 7 feet at maturity. The plant develops a prickly, ground-hugging basal rosette the first year. Spiny, green, egg-shaped flower heads appear atop long stems the second year, eventually morphing into tight cylinders of tiny lavender blooms. Teasel blooms are distinctive for the four or five needle-like bracts that grow from the base of the flower head and curve up and around the flower head. The entire plant is prickly and untouchable, including the leaves and stems. Common teasel is a highly invasive plant that can choke out desirable native growth and agricultural crops. The plants have stout, 2-foot taproots that anchor them firmly into the soil. A single plant can produce as many as 40 blooms, each of which can produce more than 800 seeds. The seeds are easily dispersed by water, birds, animals and humans. Teasel weed control usually requires a multi-pronged approach. Young rosettes are easy to dig up with a long tool, such as a dandelion digger, but be sure to dig deep enough to get the long taproot. Seedlings can be pulled from moist soil. The key to controlling teasel weeds is to prevent any mature plants from setting seeds, but mowing isn’t effective because the plant is determined and will develop new flowering stalks if the stalks are cut before the plant blooms. 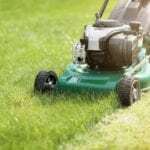 In fact, mowing is actually counterproductive because the new, shorter stems may lay horizontal to the ground where flowers reseed easily, safely below the height of mower blades. The best way to gain teasel weed control is to remove flowering stalks by hand before seeds are mature. Dispose of the flowering heads in sealed bags to prevent spread. Be persistent because the seeds remain in the soil; controlling teasel weeds may require up to five years or even more. Large stands of common teasel can be treated with herbicides such as 2,4-D or glyphosate. 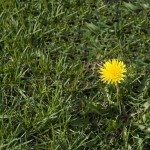 Apply the chemicals to rosettes in spring or fall. Keep in mind that herbicides can kill other plants on contact, depending on route of application and time of year. Read the label carefully. Encourage the growth of healthy native plant populations to prevent re-infestation of common teasel.